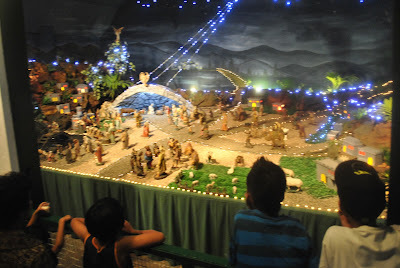 Before the Christmas lights on ceremony and the Christmas Village and Angels display participated by the different barangays and schools, there was the first and original Christmas display of Lola Josefit Lacson who was the best friend of my grand-aunt, Lola Siday and the grandmother of the city mayor now, Mayor Jose "Oti" Montelibano. This original Christmas village was displayed in the Lacson ancestral home fronting the plaza every year beginning the 3rd week of December. 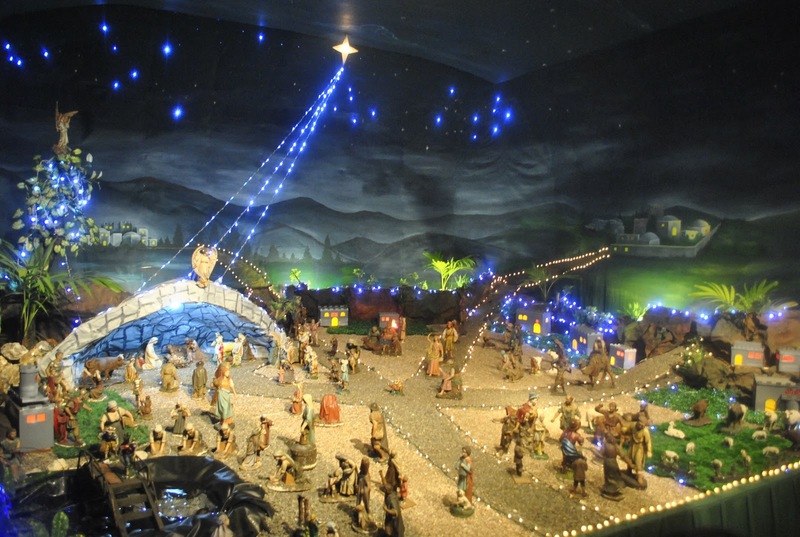 It was a replica of the town of Bethlehem and showed Mary and Joseph as they traveled to the town, up to the birth of Jesus. 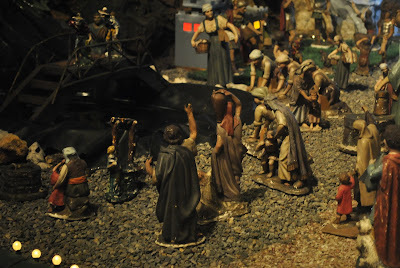 It is the story of the nativity in miniature. After Lola Josefit died in the 80's the tradition stopped and I think the area was made into a restaurant, (The Food Basket) but this display was resumed in the mid 90's. My son was about 4 or 5, when it was put up again and you can imagine my excitement upon seeing it...I felt like I found a lost friend! I was so happy that my son could experience this. And so, today the tradition continues, and children and adults alike come to view this display with much awe and enjoyment. This Christmas display has brought much happiness to many children of Silay. As one of those children, I can still remember the feeling of anticipation while waiting for the display to be opened to the public. 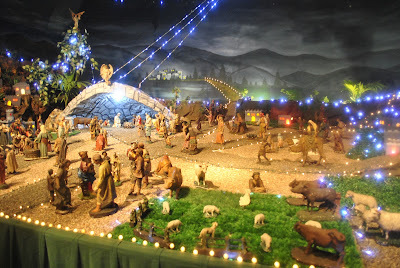 Somehow even after all this time, people never get tired of looking at it...there is always some variation or design every year, although as a small child I thought it was huge (grin). I don't know about the others but I know it brings peace to my heart every time I see it. Maybe because it tells me that no matter what happens or changes there are to my beloved city, this is something that will always be there. The antique figurines are probably between 50-70 years old now and they are marvelously preserved. 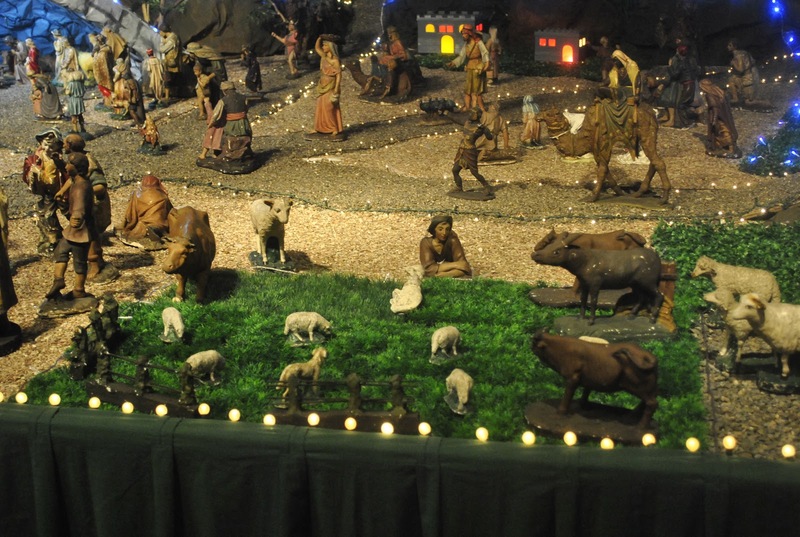 I pray the family will continue the tradition for many years to come because while there will always be Christmas activities, events and presentations sponsored by the city...it can never replace this Nativity village display. 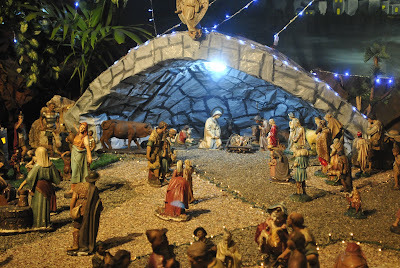 It was and always will be part of Christmas memories in Silay.